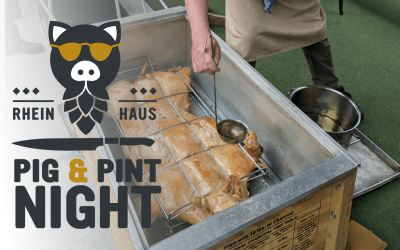 Introducing Pig & Pint Night at Rhein Haus in the Biergarten! On select Thursdays from 6-8pm this summer join us & a guest brewery in the Biergarten for a whole roasted pig and a pint of the featured brew! On September 7th we’re joined by 21st Amendment! 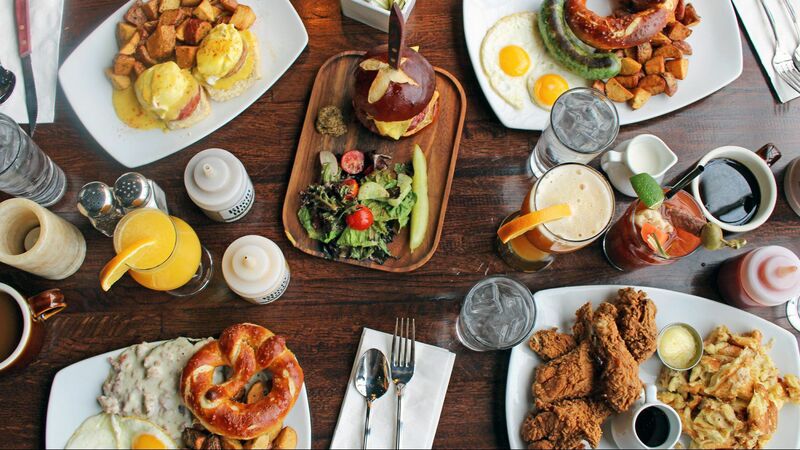 Roasted pork, black bean and corn salad, cheesy grits, house-made BBQ sauce, and a pretzel bun plus the featured beer will be offered for $17. Limited quantities available each pig & pint night!